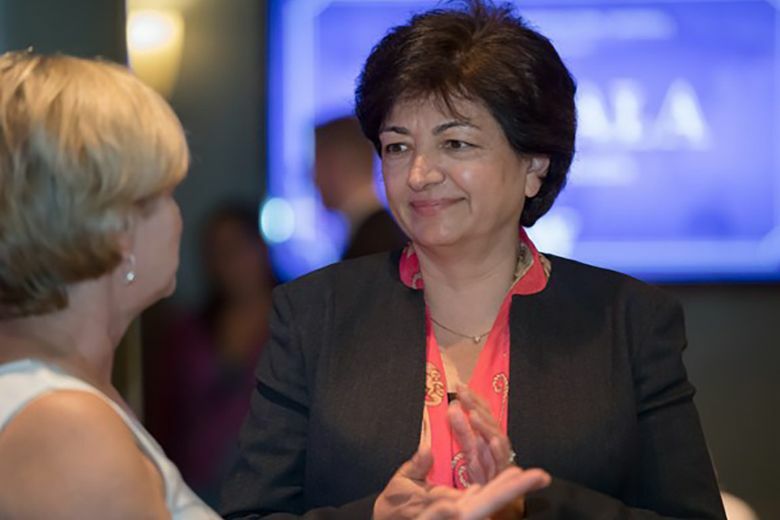 Dr. Fariba Alamdari, Vice President, Marketing, Boeing Commercial Airplanes. Women in business often face a unique set of challenges, especially when they pursue executive-level positions. Women in senior management who have their eye on becoming executives can hit roadblocks as they work to develop the skills needed to achieve their goals. These all-too-common roadblocks are the inspiration for University of Washington Bothell’s Executive Leadership Certificate Program for Women, Inclusion and Diversity, a six-month program. “The Women in Leadership program seeks to be the transformational platform that will elevate women to leadership and board roles,” says Sandeep Krishnamurthy, Ph.D., professor and dean at UW Bothell’s School of Business. Creating opportunities to hone these five key skills helps empower women in the workplace. “Part of leadership is genetic, but it’s also learned,” Fariba Alamdari, vice president of Marketing & Value Analysis at Boeing says. Even if we’re not “born leaders,” training programs can help improve leadership skills tremendously. Everyone has a different leadership style and the trick is to adapt your style so you can achieve your maximum potential. Your leadership style is shaped by your personality. Classroom instructors, mentors and other trusted experts can help you find an effective leadership technique that feels natural. For her part, Alamdari says that although she never had a formal mentor, she received advice from people she respected and it has impacted her career to this day. Although mentorship is invaluable, your greatest asset is you. Take all advice to heart and incorporate it into your efforts, but don’t try to replicate every single aspect of the career of someone you admire. Your personal brand is what sets you apart from the crowd, and it’s important to hone in on your strengths so you can use them to create your brand.